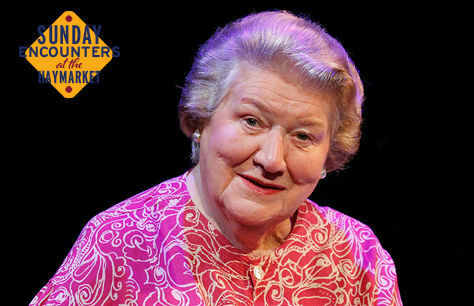 West End tickets to Dame Patricia Routledge on sale now! Even after decades as a performer, many still have no idea that Patricia Routledge trained in both acting and singing. In fact, she was once a widely prolific actress in musical theatre, both in the UK and in the US of A. Her acclaimed career garnered a Tony Award for her performance in Styne-Harburg's Darling of the Day musical on Broadway and an Olivier Award for her appearance in Leonard Bernstein's Candide. Her popular one-woman show, Come for the Ride, toured the United Kingdom in 1988 and she later landed the role of Nettie Fowler in the critically acclaimed 1992 production of Carousel at London's National Theatre. In 1998, she took home the Gold Badge of Merit from the prestigious British Academy of Songwriters, Composers and Authors. Meet one of the greatest musical theatre legends! In this unique, one-off encounter with acclaimed presenter and broadcaster, Edward Seckerson, she looks back on her career with warmth and gains access to some rare and unique recordings. Dame Patricia Routledge: Facing The Music – A Life in Musical Theatre is presented by Fane Productions as part of the ‘Sunday Encounters at the Theatre Royal Haymarket’ season. Tickets to Dame Patricia Routledge: Facing The Music – A Life in Musical Theatre are selling fast! Don't miss it!